The J.T. Realmuto rumors are not dying down in America’s Finest City. 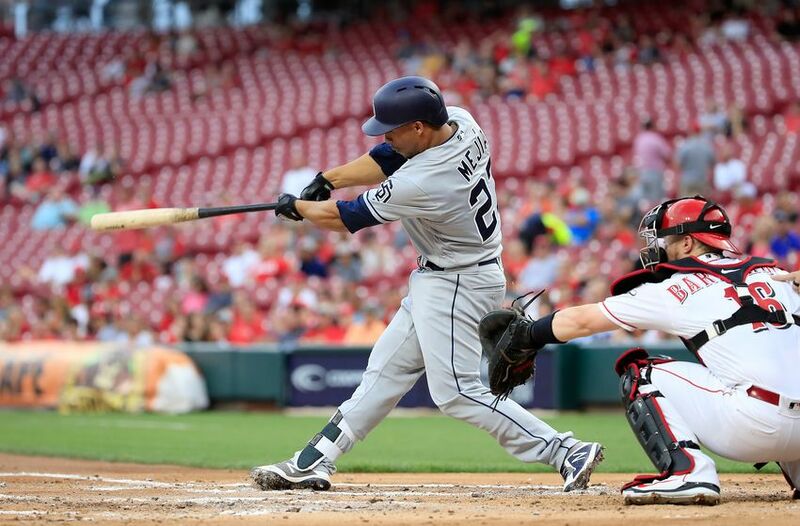 The San Diego Padres appear to have some real interest in the Marlins’ catcher and rumors are they are dangling Francisco Mejia to Miami. Is this really a smart move for a Padres team that is developing? In the last few months, J.T. 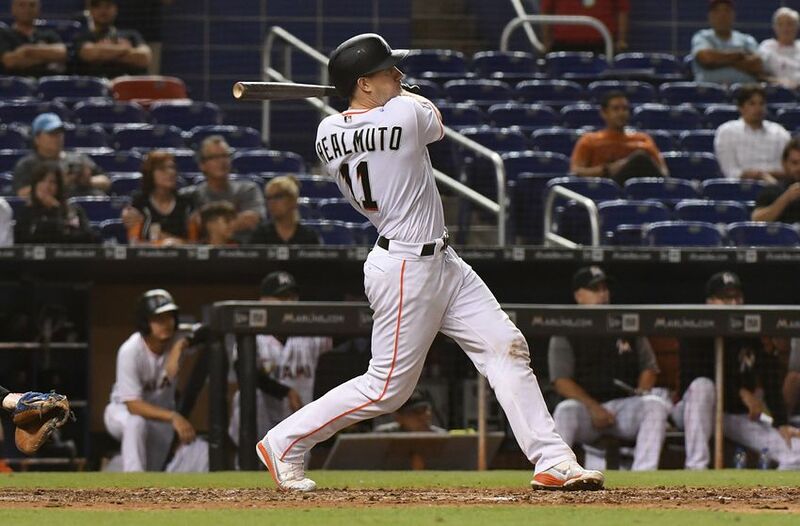 Realmuto‘s name has been rumored to several teams, via trade, as the Marlins look to rebuild under new management. The San Diego Padres have continued to be viewed as front-runners in the Realmuto sweepstakes, as they easily possess the best farm system in all of baseball. The Padres have the prospects that a lot of teams covet, but at this point, the Friars seem obsessed with hoarding young talent rather than dealing it. A Manny Machado signing would fast-forward the competitive window for the Padres. Several reports surfaced in the last week that the Padres are not only looking at the prized free agent, but also kicking the tires on other possible fits for the team on the open market. Bryce Harper, Mike Moustakas, and Marwin Gonzalez have all reportedly been discussed by the Padres internally. Adding players with this track record, along with a frontline starting pitcher, would indeed make the Padres relevant in the NL West. Bringing in Manny Machado would give the Padres arguably their best offensive talent since the days of Adrian Gonzalez and Tony Gwynn. That is an exciting thing for San Diego. Signing a superstar player in the prime of his career requires that the team make corresponding moves. Decisions would need to be made in regard to young talent and changing gears to a win-now approach and whatever that entails. Most Padres fans assumed the catching position was set as the Padres have a young catching duo that most teams would kill for. Switch-hitting, 23-year-old Francisco Mejia and 26-year-old defensive wizard Austin Hedges are both viable major league catchers. Behind them, the Padres have Austin Allen, Luis Torrens, Luis Campusano, and Blake Hunt as respectable prospects within the system. The catching position is not an area of weakness for the Padres. The talk of J.T. Realmuto makes sense if the Padres are “going for it”. In Realmuto, there are no question marks. You are getting a proven commodity and someone who will produce with the bat and be an adequate glove behind the plate. With two years of control, his value, or what has been reported by the media, seems a little overinflated. At 28 this baseball season, Realmuto is not a young catcher. He has quietly played four-plus years in the obscurity of Miami and only recently has become heralded for his craft. 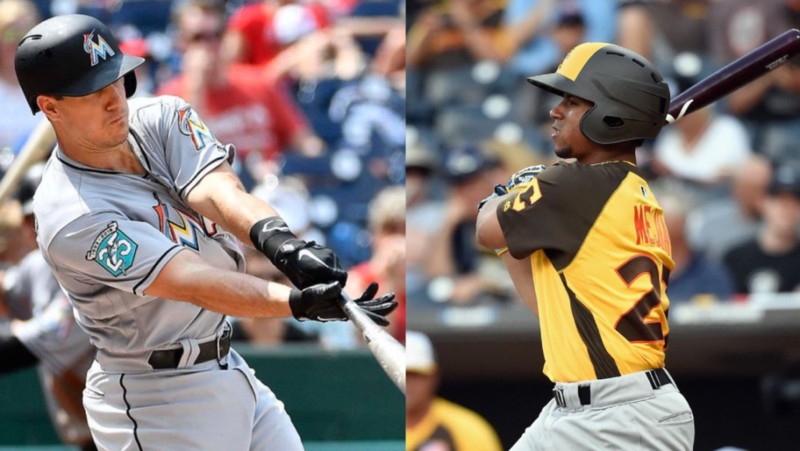 A recent rumor has the Marlins asking for Francisco Mejia, minor league left-handed pitcher Adrian Morejon, and a major league outfielder (Manuel Margot, Hunter Renfroe, Franmil Reyes) for Realmuto. That price tag seems extremely high. The value of a catcher, and having a good one behind the dish is priceless, but again, it’s not like the Padres have no options. There are some reports the Padres want an extension with Realmuto before agreeing to any deal. That is something the Marlins have not granted. They have not given any team the right to negotiate with their catcher and do not seem willing to budge on that. That could stall this whole process, as two years of control over Realmuto is not really that enticing for the proposed haul. Especially for a Padres team that is just beginning to turn the corner towards success. Having two years of Realmuto is not worth the price tag of two major league players (Mejia and an outfielder) and a legit left-handed pitching prospect. The Padres have six years of control over Mejia presently and his upside seems limitless. I can understand the need to want to get better, but the team must stay the course and trust the process. That is the same line they have fed the fan base, and it is not time to get cold feet now. A Realmuto trade could still happen as the Padres seek national relevancy. The MLB hot stove might have taken a while to fire, but it appears the month of February is going to be an exciting one for major league baseball. The Padres and their young G.M. will be front and center as the team has several options they could explore. Previous What Will a Tatis Jr/Urias Double-Play Combo Bring to Padres? Next Is Mike Moustakas a Solid Plan B For the Padres? Stay the course AJ, play the kids! I feel ya. Too bad the Seattle trade fell through. Realmuto is not the answer. 3b and SP is…..
unless Preller plans to sign then flip him for an outstanding #1 and or. They should pursue Machado and Harper. Realmuto is another matter. He is a fine player, but without an extension in place he has far less value. The Yankees allowed Cincinnati a window to extend Gray, Miami is just being churlish to not do the same. They wanted to extend him and he rebuffed them, now they are sabotaging their own return on him by refusing to allow a window for an extension. Petty and stupid. In any case the team should push forward. A team that adds 2 elite players like Harper and Machado would instantly be much improved, and reap further benefit from then trading Ty France, and two of Renfroe, Reyes, Cordero and Myers. May seem expensive but the team can afford this move, and adding elite players is how you improve. Good article. Why would the Padres be interested in Harper since they already have a logjam of “elite” outfielders. Tanned Tom,you’re growing on me. Harper and Machado, trade for Trevor Bauer w Myers and Reyes included. Eat some money on Myers. Hope the young pitchers are good, and hope Hosmers plays well enough to opt out in 4 years. The Marlins have traded away Yelich and Stanton to move payroll, only to acquire … Wil Myers?! hahahahaha oh that’s a good one. TT – I’m just trying to find a way to get him out of SD ! It makes sense if the Padres are in a three team trade with the Reds for Senzel or if they flip Realmuto in order to fill a bigger need. No, no, and unless there is some unknow issue about Morejon that would likely get A.J. suspended for life for not revealing then NO!!! Especially if they are not able to get that window to negotiate with Realmuto for an extension. An extension would make him also a possible trade option (depending on amount and trade clauses), for Thor or others. I would till the Marlins, no trade window… we are moving on. The Padres cant land a top free agent without having other pieces already in place. Pur Pafs are not competitive in the eyes of most MLB insiders. They need a move like this before Machado or anyone else like that is going to give the Padres a real shot, imo.